Ready to face the whimsical weather this season with this parka for a relaxed look? Featuring every important detail: the patches, the printed motifs, the large inscription on the back, and the camouflage-print lining. 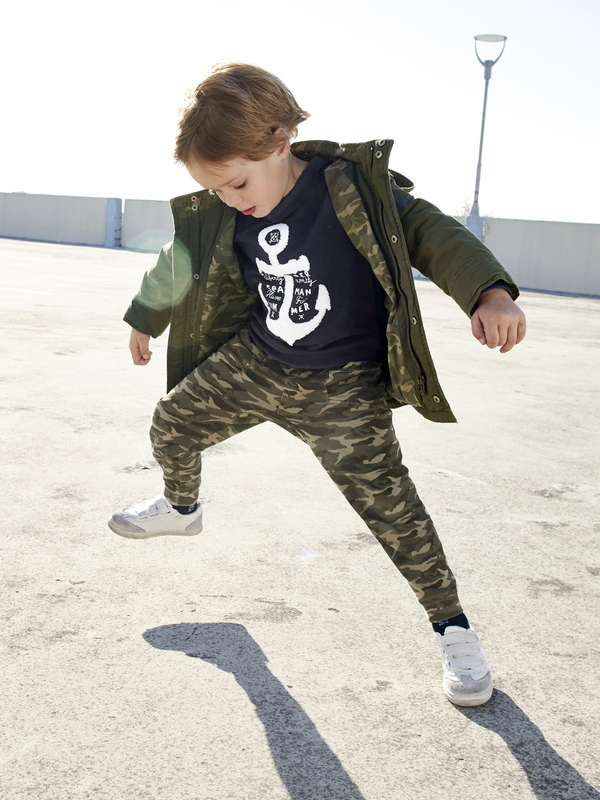 Parka for boys in pure cotton fabric.